Aviacsa airline is suspended by the Ministry of Telecommunications and Transport. The government entity reported that the airline must address several security issues within 60 days to get back in air. Mexicana initiated the operation of an air bridge to connect Guadalajara-Veracruz-Villahermosa-Mérida. This route will be operated by the airline´s domestic subsidiary under the brand of MexicanaLink. The economic whole leg roundtrip fare is $270 U.S. Dollars. Aeromexico announces new routes linking Mexico City to the northeast state of Tamaulipas. The airline will be flying to Nuevo Laredo, Tampico and Ciudad Victoria. These routes will combine with the existent flights to Matamoros and Reynosa. The average roundtrip fare is $300 U.S. Dollars. One of the two mayor Mexican airlines has suspended operations in Mexico. Mexicana Airlines merses in a deep financial and corporate crisis. On Wednesday, August 4, at 18:00 hours, Mexicana Airlines (Compañía Mexicana de Aviación) suspended its ticket sales. 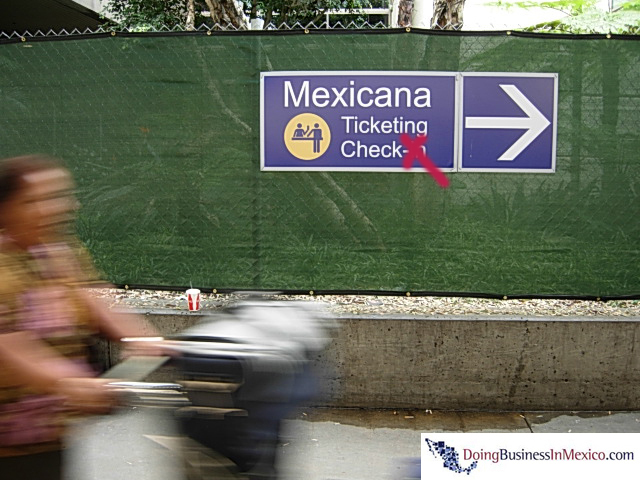 However, Mexicana Airlines announced it will continue operations as scheduled in the interest of protecting passengers whom already have tickets and flight itineraries. Partner airlines Mexicana Click and Mexicana Link finally suspended their operations at the end of August 2010. Both are independent airlines, affected by Mexicana´s business reorganization. 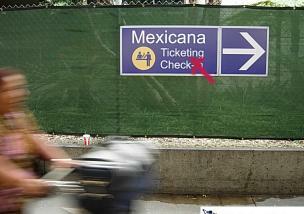 Be aware not to buy Mexicana tickets since the company is no longer flying. Frequent flyer programs MexicanaGo and Frequenta are in general unaffected since all issued tickets remain valid as normal; however, new bookings for flights operated by Mexicana Airlines are now excluded.